Born and raised in New Orleans, Louisiana, Abigail discovered her passion for music immediately after Hurricane Katrina destroyed the family home and nearly took every natural possession they owned. At only six years old during the crisis, she awoke to hear a song in her heart and wrote out lyrics as a reflection on their sudden circumstances. The song was titled "BEAUTIFUL" and would become one of her first original songs on her debut album released at the tender age of ten. 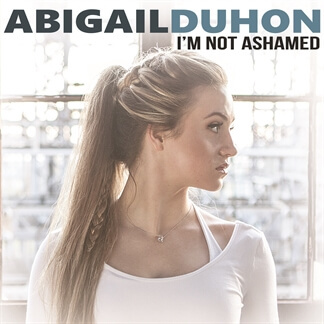 New MultiTracks from Abigail Duhon - "I'm Not Ashamed"
"I'm Not Ashamed" is the brand new single from actress and Christian pop artist Abigail Duhon. 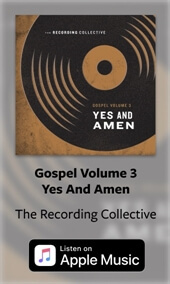 The song is the title track of an upcoming motion picture based on the life and journals of Columbine High School shooting victim Rachel Joy Scott and it reminds us of the difference we can make when we put our lives in God's hands. The song was directly inspired by Rachel's bold faith and affirms a desire to stand firm in our faith in all circumstances.